The subject matter of this volume was the basis for a confer­ ence held in Philadelphia in June, 1981, and is an important one in the contemporary area of how the host interacts with micro­ organisms. In conception, it grew out of a graduate course entitled, "The Infectious Process," which has been taught in the Department of Microbiology and Immunology at Temple University School of Medicine during the past twelve years. This course has explored the broad areas of mechanisms of microbial pathogenesis and host resistance by in-depth consideration of selected models of experimental infection and immunity, as well as the clinical literature. 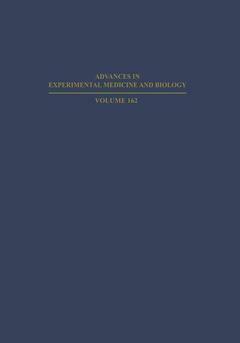 It is noteworthy that there is no adequate text for this material, as the subject matter naturally crosses a wide spectrum of traditional disciplinary lines, encompassing topics as diverse as the mechanisms of action of bacterial toxins, the role of complement and antibody in phagocytosis, and the importance of cross-reacting bacterial polysaccharide antigens in vaccine development. A major portion of the course has always considered "cellular immunity" as it applies to host defenses to intracellular pathogens. It is in this area that the necessity for amalgamation of information from different disciplines is most evident, for one must be intimately concerned with the interactions between the microbe and the phagocyte, both before and after specific immune recognition. and Historical Perspective.- I. Microbicidal Mechanisms of Leukocytes in Host Defenses.- Oxygen Independent Microbicidal Mechanisms of Human Polymorphonuclear Leukocytes.- Oxidative Metabolism of Leukocytes and Its Relationship to Bactericidal Activity.- Some Paradoxes of Macrophage Function.- Genetic Disorders of Granulocyte Function: What They Tell Us About Normal Mechanisms.- II. The Immune System and Phagocytic Cell Function.- Modulation of Effector Lymphokines.- Stimulation of Host Resistance to Metastatic Tumors by Macrophage Activating Agents Encapsulated in Liposomes.- Effect of Prostaglandins on the Production of Interleukin-2.- Interaction of Mycobacteria with Normal and Immunologically Activated Alveolar Macrophages.- Guinea Pig Alveolar Macrophages Probably Kill M. tuberculosis H37Rv and H37Ra in vivo by Producing Hydrogen Peroxide.- Interferon and Host Defense Systems.- Mediator Interactions Regulating Macrophage Secretion of Interleukin 1 and Interferon.- Macrophage Oxygen-Dependent Killing of Intracellular Parasites: Toxoplasma and Leishmania.- Immunologic Lesions During Toxoplasma gondii Infection.- Immunodepression in BALB/c Mice Infected with Leishmania tropica.- III. Host Defenses to Intracellular Bacteria.- Cellular Mechanisms of Anti-Mycobacterial Immunity.- Host Response to Infection with Mycobacterium bovis (BCG) in Mice: Genetic Study of Natural Resistance.- Cell Mediated Lysis of Lymphocytes Expressing Bacterial Antigens.- Improvement of Abnormal Lymphocyte Responses in “Atypical” Mycobacteriosis with Indomethacin.- Immunoregulatory Defects in Leprosy.- Cellular Mechanisms of Resistance to Listeria monocytogenes.- Effect of Interferon Inducers and Purified Mouse Interferon on the Susceptibility of Mice to Infection with Listeria monocytogenes.- Natural Resistance to Listeria monocytogenes as a Function of Macrophage Inflammatory Response.- Effect of Acute Nutritional Deprivation on Host Defenses Against Listeria monocytogenes — Macrophage Function.- Pilus-Mediated Clearance of Salmonella typhimurium by the Perfused Mouse Liver.- Immunity to Salmonella Infection.- Strain Dependent Variation of Delayed-Type Hypersensitivity in Salmonella typhimurium Infected Mice.- Monoclonal Antibodies to Salmonella typhimurium and Escherichia coli Lipopolysaccharides.- Characterization of Monoclonal Antibodies Which Recognize Specific Cell Surface Determinants on Salmonella typhimurium.- Monoclonal Antibodies as Probes for Antigens of Mycoplasma pulmonis.- Electron Microscopic Examination of the Inflammatory Response of Guinea Pig Neutrophils and Macrophages to Legionella pneumophila.- IV. Immunity to Rickettsia, Parasites and Fungi.- Activation of Macrophages for Killing of Rickettsiae: Analysis of Macrophage Effector Function After Rickettsial Inoculation of Inbred Mouse Strains.- Parameters of Cellular Immunity in Acute and Chronic Rickettsia tsutsugamushi Infections of Inbred Mice.- Lymphokine Stimulated Macrophages Inhibit Intracellular Chlamydia psittaci Replication by Mechanisms Distinct from Intracellular Inhibition of Toxoplasma gondii Replication.- Natural and Acquired Resistance to Trypanosoma cruzi.- Immunity to Fungal Infections.- Antibody-Independent Mechanisms in the Development of Acquired Immunity to Malaria.- Intracellular Destruction of Leishmania tropica by Macrophages Activated In Vivo with Mycobacterium bovis Strain BCG.- In Vitro Macrophage Antimicrobial Activities and In Vivo Susceptibility to Leishmania tropica Infection.- V. Mechanisms of Antiviral Immunity.- Virus-Immune T Cells and Monoclonal Antibodies in the Mouse Influenza Model.- Escape from Immune Surveillance During Persistent Virus Infection.- Influence of Viruses on Cells of the Immune Response System.- Genetically Controlled Resistance to Viruses.- Macrophage Oxidative Metabolism: A Defense Mechanism Against virus Infection?.- Interferon-Induced Augmentation of Natural Killer Cell Activity by Splenocytes from Leukemia Virus Immunosuppressed Mice.- Immunological Comparison of Ocular Disease Induced by Two Strains of Herpes Virus of Different Virulence.- Cellular Processing of the Large Glycoprotein of Lacrosse Virus (Family Bunyaviridae); Implications for Virion Assembly and Host Defense.- CMV and Renal Allograft Survival.- Martyrs, A Poem by Dr. L. J. Berry.- Contributors.- Author Index.